The Executive (government) of the German-speaking Community meets in Eupen. The German-speaking Community of Belgium (German: Deutschsprachige Gemeinschaft Belgiens [ˈdɔʏ̯tʃˌʃpʁaːxɪɡə ɡəˈmaɪ̯nʃaft ˈbɛlɡi̯əns], DG; French: Communauté germanophone de Belgique [kɔmynote ʒɛʁmanofɔn də bɛlʒik]; Dutch: Duitstalige Gemeenschap van België [ˈdœy̯tsˌtaːlɪɣə ɣəˈmeːnˌsxɑp vɑn ˈbɛlɣijə]) or Eastern Belgium (German: Ostbelgien; French: Belgique de l'est; Dutch: Oost-België) is one of the three federal communities of Belgium. Covering an area of 854 km2 (330 sq mi) within the province of Liège (German: Lüttich) in Wallonia, it includes nine of the eleven municipalities of East Cantons (German: Ost-Kantone). Traditionally speakers of Low Dietsch, Ripuarian and Moselle Franconian varieties, the local population numbers over 75,000—about 0.70% of the national total. Bordering the Netherlands, Germany and Luxembourg, the area has its own parliament and government at Eupen. Although in the Belgian province of Luxembourg many of the inhabitants in the border region next to the Grand Duchy of Luxembourg speak Luxembourgish, a West Central German language, they are not considered part of the German-speaking Community. The German-speaking Community of Belgium is composed of the German-speaking parts of the lands that were annexed in 1920 from Germany. In addition, in contemporary Belgium there are also some other areas where German is or has been spoken (the difference line between German, Dutch, Luxembourgish and Limburgish is very slight since they are all part of the same dialect continuum) that belonged to Belgium even before 1920, but they are not currently officially considered part of the German-speaking Community of Belgium: Bleiberg-Welkenraedt-Baelen in northeastern province of Liège and Arelerland (city of Arlon and some of its nearby villages in southeastern province of Belgian Luxembourg). However, in these localities, the German language is declining due to the expansion of French. The area known today as the East Cantons consists of the German-speaking Community and the municipalities of Malmedy and Waimes (German: Weismes), which belong to the French Community of Belgium. The East Cantons were part of the Rhine Province of Prussia in Germany until 1920 (as the counties (Landkreise) of Eupen and Malmedy), but were annexed by Belgium following Germany's defeat in World War I and the subsequent Treaty of Versailles. Thus they also became known as the cantons rédimés, "redeemed cantons". The peace treaty of Versailles demanded the "questioning" of the local population. People who were unwilling to become Belgians and wanted the region to remain a part of Germany were required to register themselves along with their full name and address with the Belgian military administration, headed by Herman Baltia, and many feared reprisals or even expulsion for doing so. In the mid-1920s, there were secret negotiations between Germany and the kingdom of Belgium that seemed to be inclined to sell the region back to Germany as a way to improve Belgium's finances. A price of 200 million gold marks has been mentioned. At this point, the French government, fearing for the complete postwar order, intervened at Brussels and the Belgian-German talks were called off. The new cantons had been part of Belgium for just 20 years when, in 1940, they were retaken by Germany in World War II. The majority of people of the east cantons welcomed this as they considered themselves German. Following the defeat of Germany in 1945, the cantons were once again annexed by Belgium, and as a result of alleged collaboration with Nazi Germany an attempt was made to de-Germanize the local population by the Belgian and Walloon authorities. Eupen-Malmedy area and other German territories lost in both World Wars are shown in black, present-day Germany is marked dark grey on this 1914 map. In the early 1960s, Belgium was divided into four linguistic areas, the Dutch-speaking Flemish area, the French-speaking area, the bilingual capital of Brussels, and the German-speaking area of the east cantons. In 1973, three communities and three regions were established and granted internal autonomy. The legislative Parliament of the German-speaking Community, Rat der Deutschsprachigen Gemeinschaft, was set up. Today the German-speaking Community has a fair degree of autonomy, especially in language and cultural matters, but it still remains part of the region of predominantly French-speaking Wallonia. There has been much argument in the past few years that the German-speaking Community should also become its own region, which is an ongoing process with the permanent transfer with the previous accord of some competences concerning social policy, conservation of sites and monuments, environment protection policy, transport, the financing of municipalities, among other things from the Walloon Region. One of the proponents of full regional autonomy for the German-speaking Community is Karl-Heinz Lambertz, the minister-president from 1999 to 2014. Especially regional autonomy for spatial planning, city building and housing should be considered, according to the government of the German-speaking Community. ( = comparable to previous year). The population figures are those on 1 January 2017 (compare to a total of 73,675 on 1 January 2007). The entrance of the ministerial building of the German-speaking Community shows the coat of arms of the Community, which has the nine cinquefoils arranged differently from the flag, and also sports a royal crown. In 1989, there was a call for proposals for a flag and arms of the Community. In the end the coat of arms of the Community was designed by merging the arms of the Duchy of Limburg and the Duchy of Luxembourg, to which the two parts of the community had historically belonged. A decree adopted on 1 October 1990 and published on 15 November 1990 prescribed the arms, the flag, the colours as well as the Day of the German-speaking Community of Belgium, which was to be celebrated annually on 15 November. The coat of arms, in heraldic blazon, is: Arms: Argent, a lion rampant gules between nine cinquefoils azure. Crest: A royal crown. The flag shows a red lion together with nine blue cinquefoils on a white field. The colours of the German-speaking Community are white and red in a horizontal position. ^ a b "Bevölkerungsstruktur". ostbelgienstatistik.be (in German). Ministerium der Deutschsprachigen Gemeinschaft Belgiens. 2017-07-24. Retrieved 2018-03-05. ^ "The German-speaking Community". Dglive.be. Archived from the original on 2014-05-04. Retrieved 2014-06-11. ^ a b "History of the German-speaking Community". Dglive.be. Archived from the original on 2007-06-26. Retrieved 2014-06-11. ^ Asbrock, Frank; Van Hiel, Alain (21 November 2017). "An Insiders' Outside Perspective on the Flemish-Walloon Conflict: The Role of Identification and Disidentification for the German-Speaking Minority". Journal of the Belgian Association of Psychological Science. 57 (3): 115–131. doi:10.5334/pb.347. Retrieved 20 June 2018. ^ a b De Vries, J.; Tielemans, A. (2008-08-15). "De triangelspeler van België: Duitstalig België" (in Dutch). De Groene Amsterdammer. Archived from the original on 2011-09-27. ^ "Duitstalige Gemeenschap wil extra bevoegdheden". De Morgen (in Dutch). 2009-09-15. ^ "German-speaking Community: The jurisdiction of the Government". Dglive.be. Archived from the original on 2007-06-28. Retrieved 2014-06-11. ^ "Coat of Arms and Flag of the German-speaking Community". Dglive.be. Archived from the original on 2007-05-30. Retrieved 2014-06-11. Wikimedia Commons has media related to German-speaking Community of Belgium. Deutschsprachige Gemeinschaft, the official site of the German-speaking Community in Belgium. Kokaisl, Petr; Kokaislova, Pavla (July 2015). "Belgian Germans or East-Belgians?". Journal of Social Research & Policy. 6 (1): 31–43. Belgium is a federal state comprising three communities and three regions that are based on four language areas. For each of these subdivision types, the subdivisions together make up the entire country; in other words, the types overlap. Belgium comprises 581 municipalities grouped into five provinces in each of two regions and into a third region, the Brussels-Capital Region, comprising 19 municipalities that do not belong to a province. In most cases, the municipalities are the smallest administrative subdivisions of Belgium, but in municipalities with more than 100,000 inhabitants, on the initiative of the local council, sub-municipal administrative entities with elected councils may be created. As such, only Antwerp, having over 500,000 inhabitants, became subdivided into nine districts. The Belgian arrondissements, an administrative level between province and municipality, or the lowest judicial level, are in English sometimes called districts as well. Eupen (German and French, previously known as Néau in French, is a city and municipality in the Belgian province of Liège, 15 kilometres from the German border, from the Dutch border and from the "High Fens" nature reserve. The town is also the capital of the Euroregion Meuse-Rhine. Malmedy is a Walloon city and municipality of Belgium. It lies in the province of Liège. On January 1, 2006, Malmedy had a total population of 11,829. The total area is 99.96 km² which gives a population density of 118 inhabitants per km². In Belgium, the French Community refers to one of the three constituent constitutional linguistic communities. Since 2011, the French Community has used the name Wallonia-Brussels Federation, which is controversial because its name in the Belgian constitution has not changed and because it is seen as a political statement. The name "French Community" refers to Francophone Belgians, and not to French people residing in Belgium. As such, the French Community of Belgium is sometimes rendered in English as "the French-speaking Community of Belgium" for clarity. There are 27 municipalities with language facilities in Belgium which must offer linguistic services to residents in either Dutch, French, or German in addition to their official languages. All other municipalities – with the exception of those in the Brussels region which is bilingual – are unilingual and only offer services in their official languages, either Dutch or French. The Parliament of the German-speaking Community is the legislative assembly of the German-speaking Community of Belgium based in Eupen. Eupen-Malmedy or Eupen-Malmédy is a small, predominantly German-speaking region in eastern Belgium. It consists of three administrative cantons around the small cities of Eupen, Malmedy, and Sankt Vith which encompass some 730 square kilometres (280 sq mi). In the area itself, the region is referred to as Ostbelgien. Elsewhere in Belgium, the region is commonly referred to as the East Cantons. The partition of Belgium is a hypothetical situation which has been discussed by both Belgian and international media envisioning a split of the country along linguistic divisions, with each of the Flemish Community (Flanders) and the French-speaking Community (Wallonia) either becoming independent states or joining, respectively, The Netherlands and France. 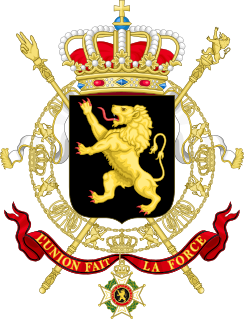 Both communities currently have a large degree of autonomy within the Belgian federation. Low Dietsch refers to a handful of transitional Limburgish–Ripuarian dialects spoken in a number of towns and villages. The government of the German-speaking Community is the executive body of the German-speaking Community of Belgium, located in the east of the province of Liège. The members are chosen by the Parliament of the German-speaking Community. 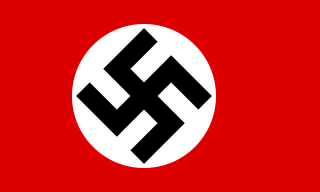 The Reichsgau Wallonia was a short-lived Reichsgau of Nazi Germany established in 1944. It encompassed present-day Wallonia in its old provincial borders, excluding Comines-Warneton but including Voeren. Eupen-Malmedy and Moresnet were also omitted, both of which had already been incorporated into Germany after its victory in the Battle of France in 1940.